Stock Life is a simple yet realistic stock investment game that lets you feel your own emotion towards the market by experiencing a quick historical walkthrough of stock charts. It's the state of mind that an investor would experience with real stock markets. In Stock Life, you hold an initial capital of $100,000 to invest in the game stock market through simulations from historical data. Each game term represents five years of your life. After each term, you have a choice of buying a house (if you can afford it) and a choice of vacations you can take in areas across the globe. Buying or upgrading a house represents the devotion you have to your family from a financial point of view because you will have less money left to invest in the stock market in the next term. Likewise, spending money on vacations represents a devotion to entertainment and building up joyful memories that you will carry throughout your life. How much money might you have in fifty years? Will you be a millionaire living in a big mansion by the beach with number of poster cards detailing your travels around the world? Or, could you end up with millions of dollars with no vacations or a family in your life? Making money is one thing, but spending money to keep life in balance is a whole other matter. 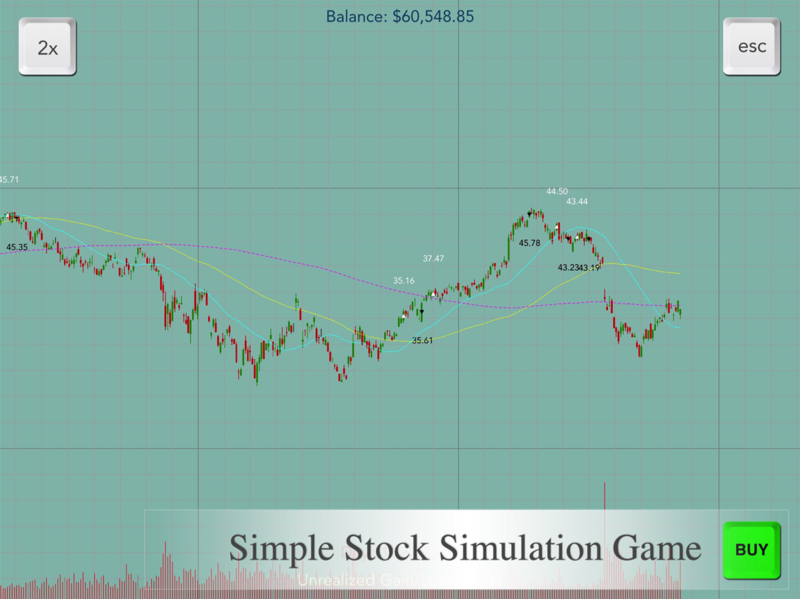 The game uses real historical data to simulate the stock market without showing the name and time period of the market until the end of each term. Your tool to invest will be reading the chart and predicting its movement as you would follow a stock’s price movement in real life. To simplify a complex stock investment into a quick game simulation, we converge all the factors that influence a real stock price into a simple market psychology: a price chart that shows a market's mindset. Will you be an aggressive investor who follows a market's momentum, or will you only buy a stock when you think a stock's price is relatively low? Only you can tell, for it's a test of wills and a judgement of the mind state of the market in this game, as well as in real life. *Adds feature for reviewing past performance. - Data of over a hundred real historical stocks are incorporated into stock simulations. 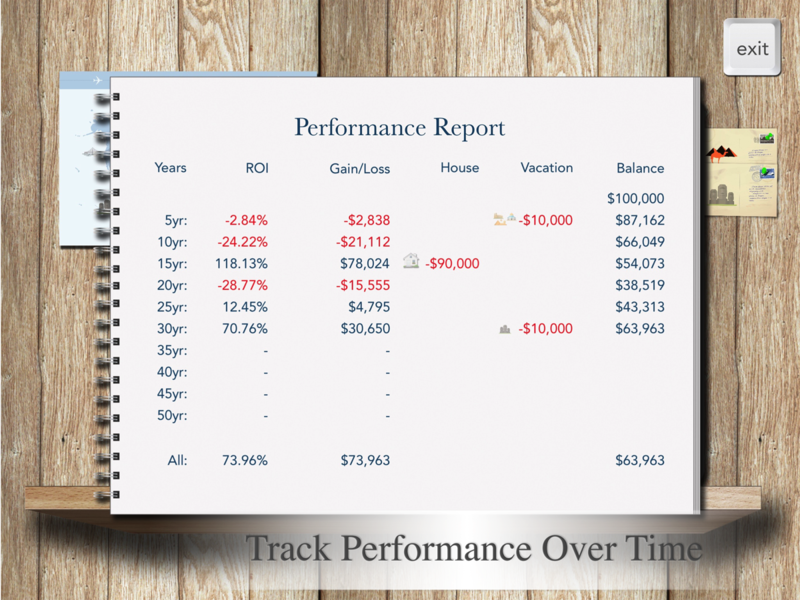 - It’s quick and easy to go through a lifelong investment experience. - Speed control allows you to speed up, slow down or pause the simulation. - Track the progress of a stock through volume and moving average lines. - Zoom out and zoom in features allow you to see the fine details or the bigger picture of a stock's performance over time. - Spending money on vacations or buying houses reflects the spending pressures of real life. 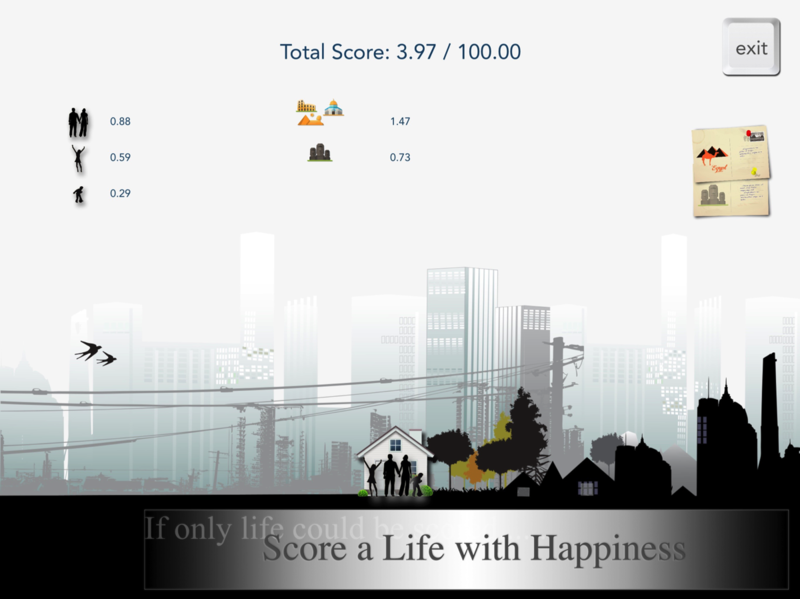 - Post your millionaire status on the Game Centre leaderboard. - New feature allows users to move one bar at a time. As an educational tool this allows players to analyze the chart movement in detail before making decisions. It's not easy to make a million dollars in this game, just like in real life. There's no cheat code, no lucky draw to buy game coins, no boost drinks to heal up your injuries. This game gives you a taste of the reality of the stock market. It can be cruel and it's hard to make money. Stock Life is a simple simulation to show you what could be. Are you ready to test your luck and live your life?